If you’ve been keeping an eye on the news lately, the term has been popping up everywhere. 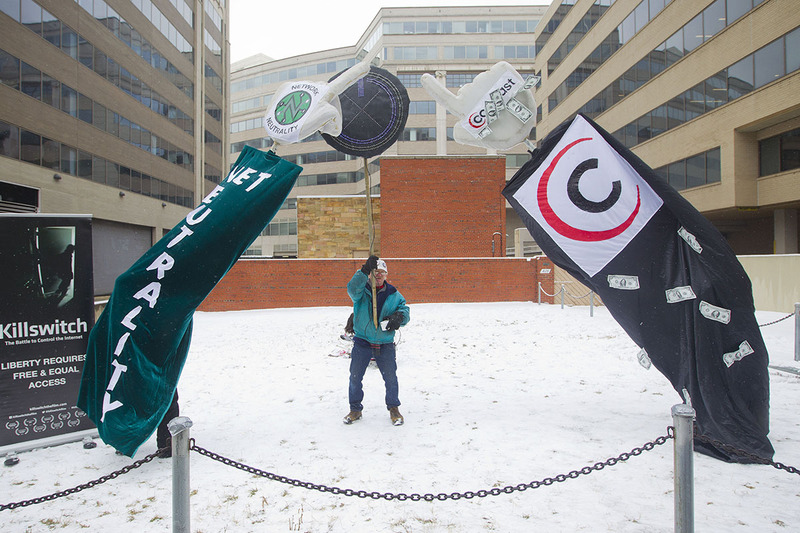 There are talks of repealing net neutrality regulations that were passed two years ago, and tensions surrounding the topic have increased as a result. Type what is net neutrality? into a Google search and headlines that pull up don’t exactly sound positive. If you’ve been wondering what all the buzz is about when it comes to net neutrality and how it affects you, we’ve done some digging, and here’s what you need to know. Let’s start off with the basics: WTF is net neutrality? Net neutrality describes the Open Internet Order, a set of policies focused on net neutrality, also referred to as the open internet, which is the requirement of all legal data on the internet to be treated equally by internet service providers (ISPs). The regulations were put in place in 2015 after ISPs were accused of manipulating speeds and accessibility of certain websites. How can data be discriminated against, you ask? Well, internet service providers could block or slow down traffic and charge companies extra to send their traffic at a faster rate, as reported by NPR. The Open Internet Order was put in place by the Federal Communications Commission under the Obama administration in 2015, and Republicans have been against it since. Now, Republicans are fighting to remove it. The removal of net neutrality can have some huge pros and cons. Those in favor of net neutrality argue the openness of the internet and its users should be protected. Those against it claim net neutrality puts ISPs at a disadvantage because they’ll have to foot the bill of pushing data from content providers — and those providers use a lot of data. ISPs and content providers could pair up and create deals to make this happen. However, this may end up with ISPs giving preference to those providers they have deals with. ISPs could charge content providers, such as Netflix, extra money to ensure that its customers have a fast enough connection to stream content. Without these regulations in place, the internet could become a battle of which online companies can afford to shell out top dollars to major corporations such as Comcast, Time Warner and Verizon. And what happens if they can’t? You, the customer, will experience slower connections while using them. If Netflix has to pay more, your membership cost may increase as a result (psst…here’s a way to get Netflix for free instead!). And as we all know, cable is expensive — that’s why cutting the cord has been a hot topic lately. In a 2014 opinion column by New York Times writer and Forbes technology contributor Gene Marks, he states removing net neutrality can keep ISPs motivated to provide the services its customers paid for. Marks stated that not all services should be created equal, mainly because if they are, ISPs will no longer have an incentive to continue to push toward innovation, such as improving infrastructure and bandwidth. Without these strives for improvement, ISPs can begin to fall stagnant. Under Marks’ argument, if consumers want to continue to have access to cutting-edge internet technology, they should be comfortable with the concept of paying more for exceptional service — and they should see it as an investment. As stated earlier, net neutrality created a low barrier of entry to the internet. Removing it could increase that barrier and hurt small businesses as a result. If you were to launch a new content-providing service and didn’t have the money to pay for priority from ISPs, your business might experience little to no growth due to slow connections and customer dissatisfaction. One of my Facebook friends, Laura Fiorella Egocheaga, is a small business owner. I asked her thoughts on net neutrality, and she spoke directly on the impact it has on small businesses like hers. The repeal of net neutrality regulations could take some time to go into effect — but now you know how it might affect you if it does. Your Turn: What do you think about the possibility of net neutrality regulations being repealed?